What is Reiki? That's the big question. So what? Big deal. What's all the fuss? Those are the questions that roll around people's minds when I mention Reiki and the art of laying on hands. It is essentially the combination of two Japanese words - rei and ki - that come together to form the meaning: universal life energy. It is an ancient tradition that has been passed down through the history of Japan, and it has spread through many cultures, though through different names. If you could sum up Reiki: Reiki Guide for Beginners in three words, what would they be? 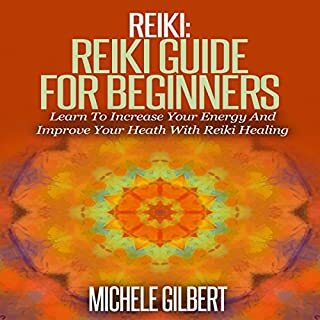 What other book might you compare Reiki: Reiki Guide for Beginners to and why? What insight do you think you’ll apply from Reiki: Reiki Guide for Beginners?